If you’re reading this article from an office in Singapore, there’s a 50% chance that you’re dissatisfied with your job. That’s according to a JobsCentral Work Happiness Survey Report which found that at least one in every two Singapore employees is unhappy at work. In fact, the score of 46.8% marks the lowest we have scored in eight years. What are some reasons why employees lose motivation in their jobs, and more importantly, what can you do about it? Here are the issues why some employees, even millennials working at temporary jobs in Singapore fall upset at work. Being in Asian culture, it’s common for bosses to be reserved and not compliment employees for good work. After all, many employers feel that turning in good work is an expectation, not an exception. Though it’s true that employees are paid to deliver good work, it’s also important to acknowledge the time and effort they put into their jobs. And while a simple, “thank you” is good, a more enthusiastic “great job!” will be even better. Most importantly, be sincere with your compliments – your employees will appreciate the gesture and appreciate you. While most of us would love to say that we are passionate about our jobs, the truth is that most people settle for jobs that happened to meet other requirements (such as pay, perks, etc.). This leaves many Singaporeans – especially driven and passionate millennials – in careers that they simply don’t find fulfilling enough. As an employer, you may not be able to change a person’s job scope, but you can give them fulfilment with other activities. Organisations with progressive HR policies often have employee activities and outings that are organised by employees, for employees. 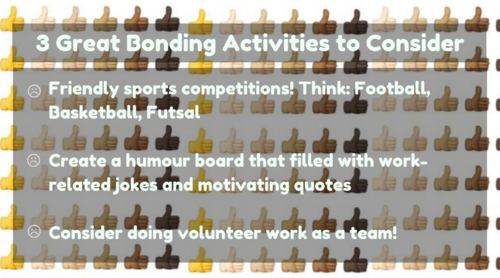 These additional activities can give employees more to look forward to every day, and make them proud to be members of your organisation. Often, this problem stems from a simple lack of communication. By having monthly or (at least) quarterly one-on-ones with your staff, you can invite them to share their aspirations with you. 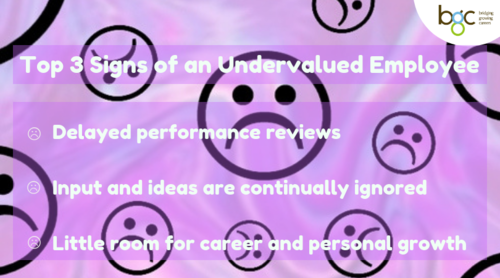 And when you find someone who’s genuinely interested in progressing within the company, you can point them in the right direction with advice on how they can contribute tangible value and progress quickly – instead of working hard and wondering why they’re going unnoticed. For those unaware, millennial employees love investing time and energy into a project that is valuable. To combat this issue, Forbes recommends employers to re-think the issue by asking yourself the right questions. An example? "How can we add more value to the marketplace?" "What can we do to make our employees care about the company's cause". Do your employees find their workspaces boring and uninspiring? It’s time to do something about it. Uninspired workspaces may not only negatively affect employees’ creative capabilities, but their mood and motivation levels as well. Motivation Booster: Liven up the Environment! It’s alright if you don’t have the funds for a full architectural reconfiguration, you can always liven up the environment with colour and life. Try placing plants, flowers or even a small aquarium (or fish tank) in the office. Experiment with brighter coloured furniture, lights or decorations that will turn your office from drab to fab. This is perhaps the biggest reason why Singapore employees lose motivation and leave their jobs, and it’s a problem that you have to spot and put an end to immediately if it’s happening in your company. Remember that good leadership starts at the top. Set a good example and craft company policies that enforce fairness, respect, and a positive work atmosphere. 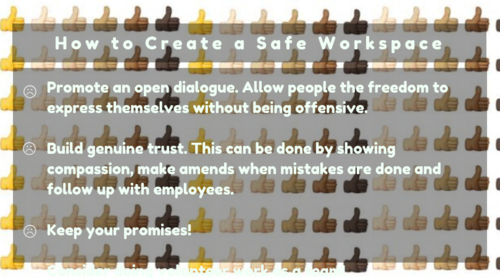 Promote this culture positively, but be willing to remove anyone at management level if they insist on continuing disruptive practices such as scolding employees, telling them off in front of others, constantly writing demotivating emails and memos, etc. Creating a positive environment allows your employees with a safe space to step out of their comfort zones. "Being in this job at BGC gave me the opportunity to step out of my usual comfort zone," said BGC recruiter Michelle. "Prior to this, I was a soft-spoken person found it hard to interact with people. However, I've always wanted to be a recruiter. So I decided to take a leap of faith and immerse myself into the recruiting world. Obviously, it was tough at first but I gritted my teeth and persevered through all while thinking of the candidates and co-workers who placed their trust in me". 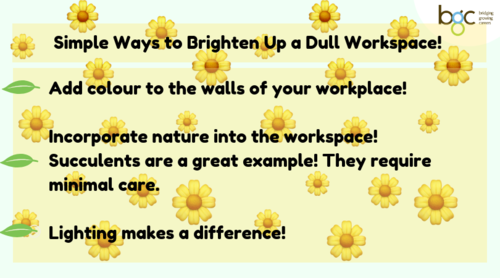 Want more tips on creating a fantastic workplace that your employees will enjoy doing their best work in? 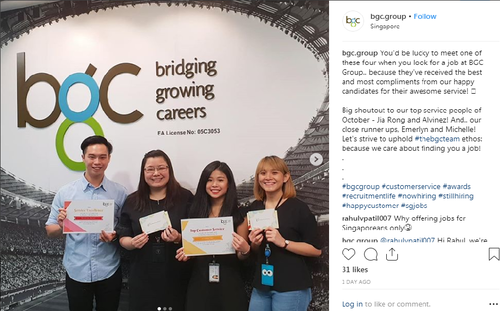 Check out this episode of BGC Huddles, as we discuss what “an ideal workplace for millennials” looks like, and what makes BGC Group stand out from other recruitment companies in Singapore. Are you a working millennial? What are some of your office gripes? Let us know in the comments section below! Additionally, don't forget to check out the links below for more fun and interesting reads! A. What Do Millennials Want in Their Careers?